Diaries and journals have a long, complex history within visual culture. 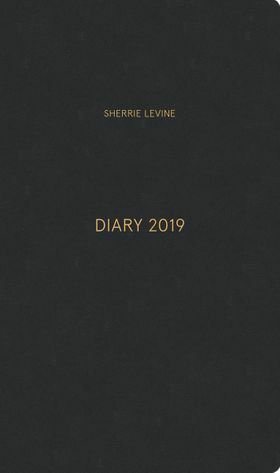 In this beautiful leatherbound book, published in a limited edition, American artist Sherrie Levine (born 1947) continues the tradition by making the private public. Levine’s work engages many of the core tenets of postmodern art, challenging notions of originality, authenticity and identity. Since the late 1970s, she has created a singular and complex oeuvre using a variety of mediums, including photography, painting and sculpture. Here, inspired by Polish writer Witold Gombrowicz’s Diary and its famed opening entries, written in 1953—"Monday: Me. Tuesday: Me. Wednesday: Me. Thursday: Me." 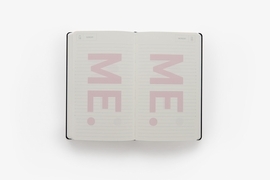 Levine prints the word "Me" on each calendar page in Diary 2019 . 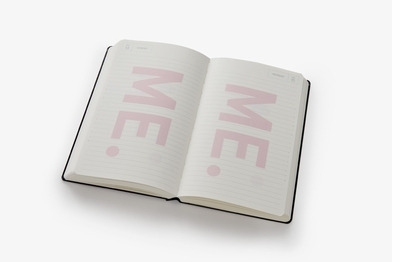 This diary is a playful riff on autobiography amid our narcissistic culture. 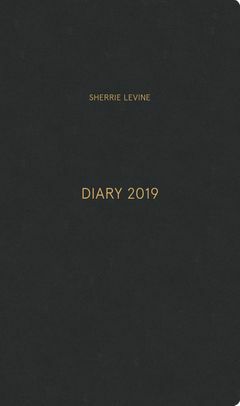 Above: A spread from Sherrie Levine: Diary 2019. A conceptual diary inspired by the ever-changing interplay between the public and private spheres of life, and playfully commenting on the commodification of the intimate. FORMAT: Leatherbound, 5.25 x 8.75 in. / 384 pgs. Published by David Zwirner Books/Xavier Hufkens.